Nationality: American. Born: San Francisco, 24 July 1904. Education: Studied civil engineering; received law degree from Stanford University. Family: Married actress Mary Lou Lender. Career: Lived for several months in Arizona desert among Hopi and Navajo, renounced law career, and joined Pasadena Playhouse, 1925; joined James Cruze production company as property boy, 1927; scriptwriter at Warner Bros., also actor, from 1929; directed first film, Destination Tokyo , 1944; formed Diamond-D productions, 1950s. Died: September 1977. Interview with Christopher Wicking, in Screen (London), July/October 1969. Pigenet, M., Delmer Daves , IDHEC, Paris, 1960. Whitehall, Richard, "On the 3:10 to Yuma—Delmer Daves," in Films and Filming (London), April and May 1963. Wallington, Mike, "Auteur and Genre: The Westerns of Delmer Daves," in Cinema (Cambridge), October 1969. "Screenwriters Symposium," in Film Comment (New York), Winter 1970/71. "Daves Issue" of Filmkritik (Munich), January 1975. Rabourdin, D., "Delmer Daves ou le secreat perdu," in Cinéma (Paris), October 1977. Cebe, G., obituary in Ecran (Paris), October 1977. Passek, J.L., obituary in Cinéma (Paris), November 1977. Ledieu, Christian, "Delmer Daves ou la raison du cœur," in Etudes Cinématographiques (Paris), n.d.
Wilkinson, Hazel, director, The Critic and "3:10 to Yuma," Great Britain, 1961. Delmer Daves is perhaps best remembered for the highly successful youth-oriented movies that he made for Warner Brothers in the late 1950s and early 1960s. A Summer Place , the definitive teenage love film, was the most financially successful of these. Yet it is unfair to relegate Daves to the realm of glossy soap opera directors. When analyzed as a whole, the body of his work reveals some fine moments. Pride of the Marines, Broken Arrow , and 3:10 to Yuma are all very different films, yet each is regarded by film historians as a classic. 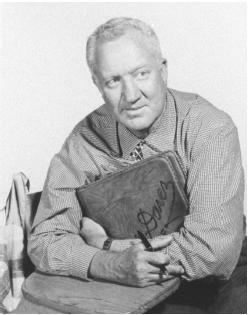 After an early career in films as an actor, Daves turned to screenwriting in the early 1930s and worked, often in collaboration with others, on a variety of films, the most prominent of which were The Petrified Forest and Love Affair. When he began directing he continued to write the screenplays for his own films. His directorial debut was Destination Tokyo. While it was not a great film, this first effort was at least a cut above the glut of wartime propaganda movies being made at the time. It was also noteworthy as the only film which Cary Grant ever made without a romantic element (or even any women in the plot). Another war film, Pride of the Marines , was one of Hollywood's first attempts to dramatize the plight of the returning servicemen. On a par with such other celebrated movies as Bright Victory and The Men, Pride of the Marines simply showed the anxieties and frustrations of war veterans who were wounded both physically and psychologically by their experiences. The film was powerful, yet did not resort to over-dramatization. It also dealt, albeit briefly, with the sociological issue of minority soldiers who would return home to a nation perhaps unaware of the value of their contributions to their country. Some of Daves's most significant movies were westerns that were sympathetic to Native Americans and did not glamorize traditional western themes. Broken Arrow is often cited as the first film to portray Indians without stereotyping them, even if most of the actors were white. 3:10 to Yuma was one of the earliest "anti-hero" westerns and is regarded as a classic both in the United States and Europe. Cowboy was another atypical western. Although ostensibly a comic western, Cowboy had an underlying anti-macho theme ahead of its time. In the beginning of the film the main characters, played by Glenn Ford and Jack Lemmon, are opposites: Ford a traditional "he-man" cowboy, and Lemmon a tenderfoot. By the end of the film both characters become aware of the opposite sides of their own natures. At least a decade before the theme became popular, Cowboy showed that men's hard and soft sides could co-exist and could make entertaining subject matter for a motion picture. Daves's final film, The Battle of Villa Fiorita , is regarded by most critics as a run-of-the-mill soap opera, yet even this project shows his ability to build a film around an important social theme before it became popular. In this story, which, like Cowboy , begins as a comedy and gradually becomes a drama, Daves's characters are faced by problems which are now visible issues of social concern: divorce, remarriage (or in this case cohabitation), and the rearing of stepchildren. In this film, like A Summer Place and his other well known "soap operas," Daves's writing and direction make the work much better than its subject matter would suggest. Like his contemporary Douglas Sirk, whose films have been criticized in terms similar to those directed at Daves, his films are actually richer than general critical opinion would seem to indicate.